Robert Lafrenière's last day will be Nov. 2, according to a UPAC spokesperson. The head of Quebec's anti-corruption squad (UPAC) is stepping down. Robert Lafrenière has led UPAC since it was created in 2011. His last day will be Nov. 2, according to a UPAC spokesperson. It is unclear why Lafrenière is leaving. In 2016, Public Security Minister Martin Coiteux confirmed Lafrenière would return to the job. His five-year mandate had expired and while there were three people in the running, the government opted for continuity and chose to keep Lafrenière in his role. Lafrenière had a long career in policing before he was named to the unit. In recent years, the unit has been plagued by information leaks to the media, and went to great lengths to uncover who was behind those leaks. UPAC investigators believe Liberal MNA Guy Ouellette had a hand in the scheme and arrested him, confiscated his cell phone and raided his home last October. 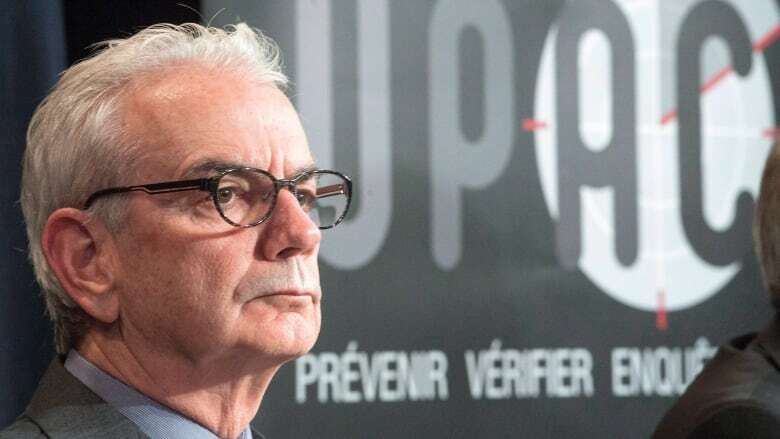 Last week, Ouellette scored a victory when Quebec's Crown prosecutor's office announced it would not contest his request to have UPAC's search warrants invalidated, meaning police will not be able to use what they seized as evidence against him.